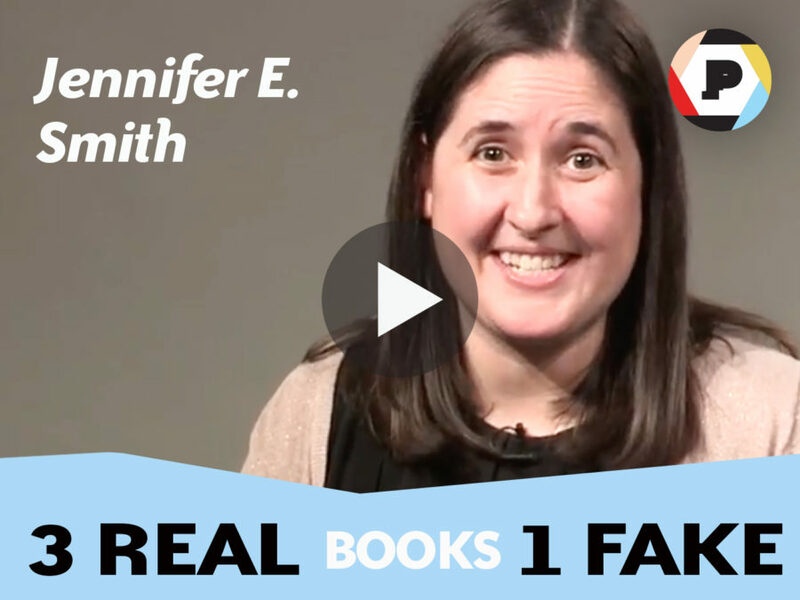 Watch Jennifer E. Smith, author of Windfall, guess which book title is the fake one. You know the game Two Truths and a Lie. But what about Three Real, One Fake with book titles? Prolific authors who have more than one book under their belts (we’re looking at you, Nancy Drew! ), proved to be perfect fodder for this game. We crafted a bogus book title for each of our authors, then asked Windfall author Jennifer E. Smith to find the fake. Watch below to play along with Jennifer and see if you can beat her score. Which author’s work should we feature in 3 Real, 1 Fake next? Tell us in the comments below!